Still smiling because perspective is everything! It has been one heck of a week. On Tuesday, I put a big pause on a relationship that I thought was going somewhere. And that opened the floodgate of all of my old fears and doubts. I could feel the creep in of “omg Leah, really? Another fizzle? AGAIN? What is the deal?” The “why are you trying” track started vying for airtime. The “look at how everything *isn’t* where you want it to be” track started getting louder. And the ever so popular of the last 5 years “You are getting old Leah. You are 41 (this year). And you still think kids and marriage are in your future? Really?” track began beating a dull drum in my head as well. Not to mention the standard “where is the money honey?? Where is the wild success chica?? When are you going to have something to write home about for real girl? ?” symphony. By now though, I know not to put a lot of attention on those thoughts. I can’t always stop them but I can at least acknowledge that this is just my old stuff being really loud and annoying at the moment. I can acknowledge that it feels draining and that I need a rest from life as scheduled and in that same moment also still ask the Universe for some deliverance, a change and shift in my perspective plus my sunshine mojo back. And I really have to give the Universe all the credit that it is due. God/Goddess really carried me this week. Like I said, I was drained and so my ability to be intentional, at least purposefully, was really low. But I did have enough energy to ask for guidance and to pay attention to signs. 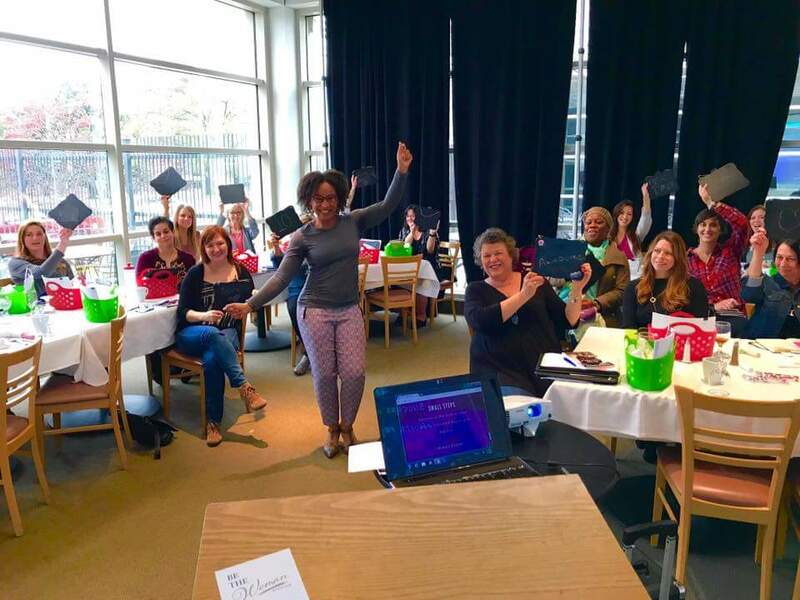 One sign led me to reach out in two of my online groups about two different exercises I hadn’t had a chance to complete from previous courses. One was a money mindset exercise and the other was a psychic development exercise. I randomly had the impulse to reach out and whichever morning it was, I did and promptly found two partners. Another sign led me to reach out to another intuitive friend of mine for some support and I have to admit, I actually got really bratty and ‘omg not this again’ with her lol. But again, the Universe was directing every step, because had I not gotten bratty and whiny, I don’t think we would have gotten to the tiny kink that was messing with my flow. She saw that my kink, the hidden snag that has been tripping me up for so long (think short-lived relationship time and time again, think promising success and then disappointing stagnation, think really great highs and really horrific lows DESPITE incredible amounts of effort) had to do with unresolved stepdad issues. I was not happy to hear this to say the least, mostly because I could have sworn that I have been working through deciphering those issues for at least the last decade. I know there is always more stuff to uncover, forgive, work through, but I really thought I had been diligent about that work and not ignoring guidance. Nonetheless though, I said I would sit with it and journal it out. And in my journaling I did discover some hidden truths. I realized that I was still carrying around that thought that there is a prerequisite to being worthy. Like you have to prove it first and then be treated as such. And that once you get that approval going, you better work hard to keep it. And you better not get comfortable feeling like you deserve all the accolades that come with worthiness because you could be proven unworthy at any moment. And you probably would be. As silly as it sounds on both ends, I really didn’t know I was still carrying that. I really thought that I had dealt with the need for validation. But even as I type that, I’m realizing that this and validation are slightly different. This feels more like the King on the Throne bestowing upon you value and then deciding to taketh it away at a whim if you disappoint him. Or even just arbitrarily once you begin to bore him. Validation is more like needing your fellow servant boyfriend to keep telling you that you are awesome. So yes, I still had that sticky fly paper stopping my progress. And I made a significant but real shift with that realization. If manifested in me feeling all of a sudden free of needing to care about said significant other’s emotions or reasons for this or that. All of a sudden, I realized that it was his job (or the next significant other’s job) to make me care, not my job to just dole out care because I'm an empath and I get what’s going on. That’s major. But there was still something. And the Universe still carried me right through to it. This part of the journey involved connecting with my partner for the psychic development work. We were to do intuitive readings for each other, with no assistance from any tools. So for me, that meant no tarot cards. I’ll admit that no tarot cards is challenging, not because I’m a blank without them, but because they are like a warm security blanket. If I feel unsure in my own intuition, my cards are there to back me up. But it’s a challenge that I’ve been feeling very drawn to since at least the beginning of the year. So when this mini-course showed up, it was perfect affirmation. So when my partner and I connected, I gave her reading first, which was very affirming and eye-opening for me in understanding how my gifts work - definitely a topic I will share about on another day. But what’s relevant for today is what her reading revealed for me. It uncovered the very last strand of the kink - the issue of feeling abandoned by my biological father. This Affected Me because I realized that I had never really dealt with this head on. I hadn’t made the connection at all really that this was something that could be affecting my adult relationships. Realizing my stepfather’s effect was easy. But somehow, I never noticed that never knowing my biological father and no one ever talking about him or really addressing the fact that I’ve never even met him would create some unresolved issues. And my goodness. Talk about the worthiness thing. Not even worthy enough to stick around for and save from growing up with my stepfather. Nina, my practice partner, is a wonderful healer by the way and how she took me through the steps to clean up all of the gunk that came with my father issues was magical, simple and beyond effective. And then, like a fog dissipating out of the blue, I felt my power again. I can even say that I felt *new* power. Like what an angel must feel like spreading its wings for the first time (if there ever is a first time for an angel). Lighter, bouyant, freer, clearer, more me than I’ve ever let myself experience before. Straight up magickal. And so here I am, welcoming this new expansion and curiously awaiting it’s evidence to continue manifesting. The only thing that I know about how it will unfold is that I will endeavor to pay attention so as not to miss my signs. The beautiful thing about signs though is that the Universe will continue sending them until you notice them and act. I’m a firm believer in that. There really are no messups. We really are just all in the lane of evolving - at whatever pace is right for us right then. So I had a really interesting experience this week. It's opened me up to so much growth! It's really interesting because in sharing my truth, I still pissed off some people LOL and really touched and blessed others 😊. So it just continues to prove my point 😊. Here's to staying as happy as you can ! So finally, the timing was right and my second podcast episode happened! I created I Thrive to give inspiration to people (women especially) who are overcoming depression and anxiety. and thriving despite it. I took a tiny break and now I am jumping back in :-). 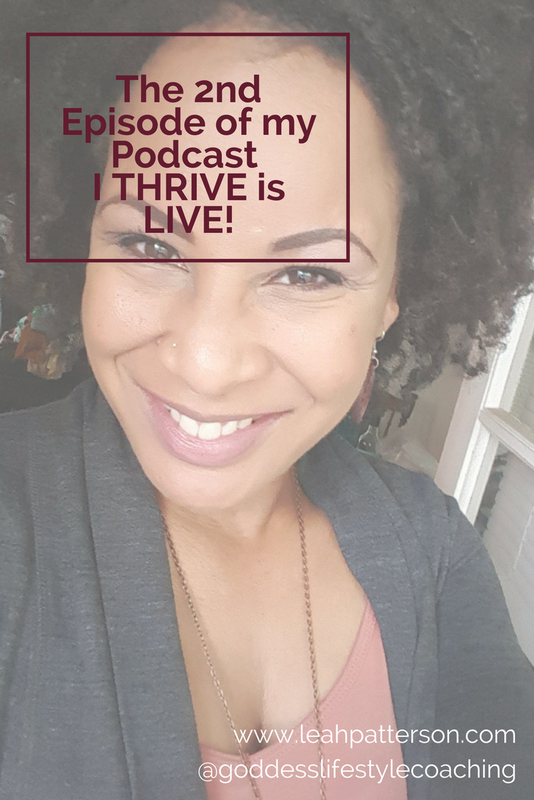 This episode is about the benefits of learning your personality type and how that has affected my life. I would love for you to give it a listen, subscribe and share it with someone! Thank you!